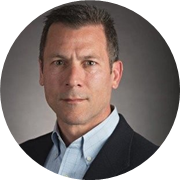 Joe D’Apollonio is the Operational Excellence Leader for Global Business Process within Ingersoll Rand. He works closely with engineering, product management, operations, finance, logistics and supply chain resources to drive Lean transformation in their business processes; specifically item master data and new product development. Joe also coaches and develops functional leaders on operating a premier performing business through servant leadership, continuous improvement and problem solving. Joe joined Ingersoll Rand after spending time in the service industry with Maersk as a Senior Director of Process Excellence. Prior to Maersk, Joe spent over 15 years in various roles of increased responsibility in manufacturing operations with Danaher, GE Superabrasives and GE Appliances. Prior to his civilian career, Joe spent seven years in the US Navy as a Supply Corps officer. Joe has a master’s degree in management from the Florida Institute of Technology and a bachelor’s of science in Engineering from the United States Naval Academy. · Continuously driving improvement year over year: What are the most effective ways? · Challenges: How to getting support from the cross-functional business leaders?